Marjan van Aubel's Current window, which biomimics photosynthesis to harvest solar energy indoors. A detail shot of the window. The USB component that uses the energy from the window to charge devices. An exterior shot of the Current windows. The Current table is now available for preorder. Equipped with USB-charging ports, Marjan van Aubel's Current table and window are among the new wave of designs befitting a connected home—though they share more in common with houseplants than, say, a “smart,” wifi-enabled appliance, and are more practical, to boot. Working with dye-sensitized solar cells, the London-based designer has translated chemist Michael Graetzel’s technological innovation into covetable “stained-glass” surfaces that effectively biomimic photosynthesis. "The cells are so sensitive that they can also work under diffuse light," explains van Aubel, 30. "This makes them much more efficient for use inside the home compared to standard solar panels, which only work in direct sunlight and are not suitable for indoor use." The result looks something like a dragonfly wing rendered by Sol LeWitt. 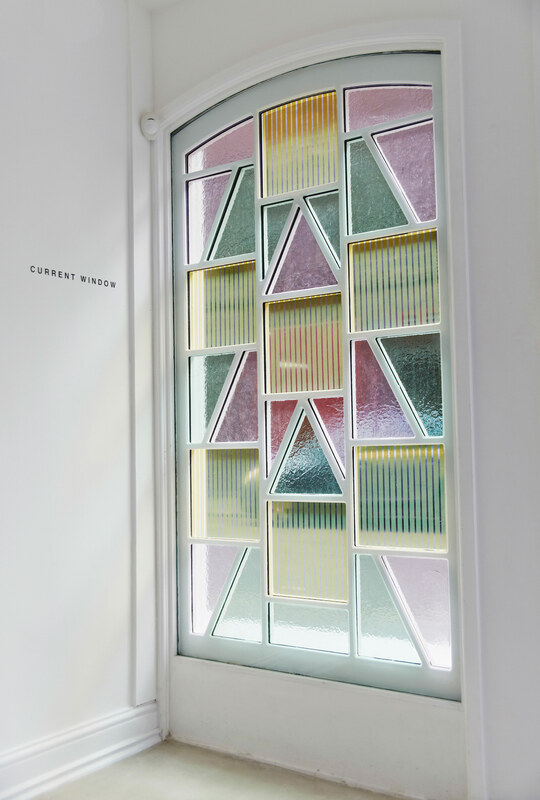 Van Aubel's work with translucent solar cells dates back to her Royal College of Art graduation project in 2012, but she has long been fascinated by science, both in terms of new materials and technologies. Originally hailing from the Netherlands, van Aubel had previously collaborated with fellow tech-design wunderkind Joris Laarman while she was studying at the Rietveld Academy; later, at RCA, she worked with fellow student James Shaw to design a seat made from upcycled hardwood shavings (the Well-Proven Stool was exhibited at London’s Victoria & Albert Museum and has since been acquired by New York’s Museum of Modern Art). The next step? Bringing the solar products to market. First debuted in 2014, the Current Table is now available for pre-order via Caventou, the company she co-founded last year with Peter Krige; the window debuted in Milan last year and has attracted interest from architects and developers (though it remains under development).